This Isn't A Drawing Of The Silver Surfer. It's A Photo Of A Real Guy. Holy crap. 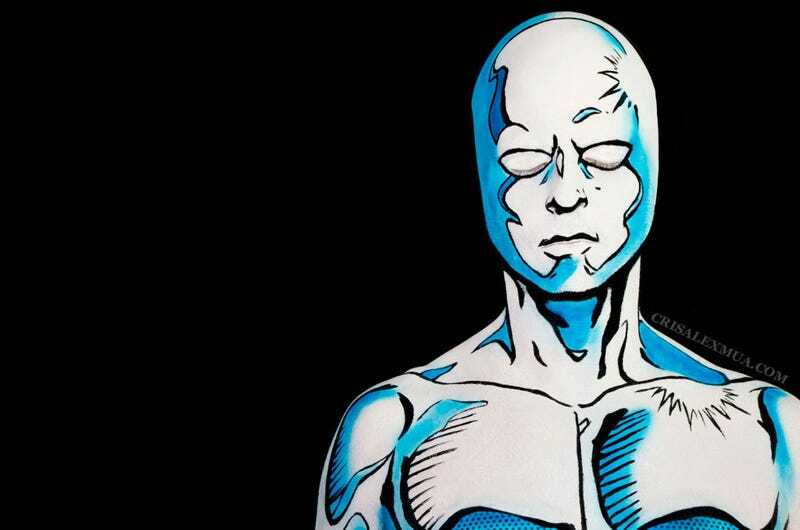 There's no artist credit for the drawing above, because it isn't a drawing of Marvel's Silver Surfer at all - it's an actual person, painted to look like him. How amazing is that? I mean wow. My ghast is well and truly flabbered. What an incredible piece of work! There's more images of the photoshoot at the link below, but you should also check out Alex's 'Surfer Selfies' showing some behind the scenes pictures of her project. It's well worth a look.